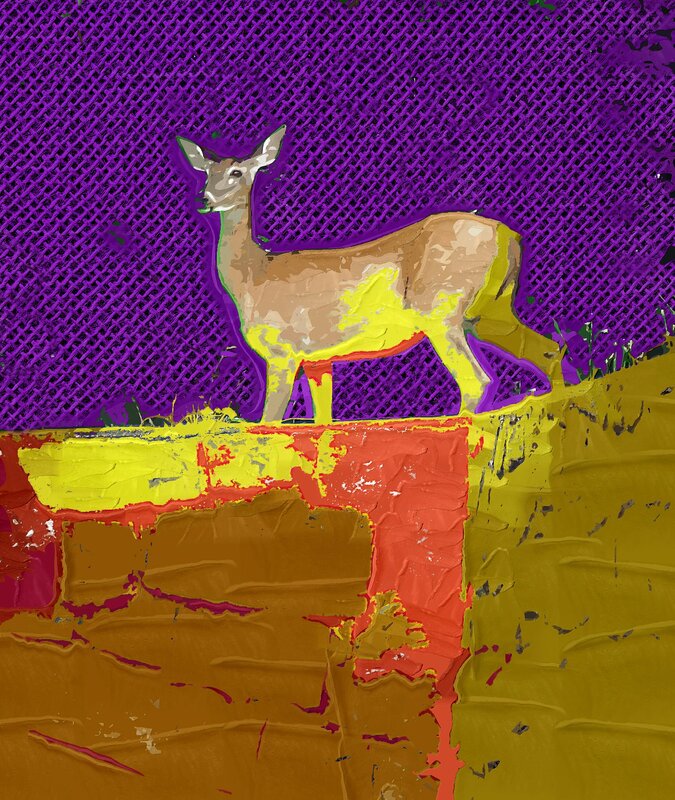 We’re starting off this week with a digital painting over a photograph of a deer that I saw in South Charleston over the summer. I played with the colors a bit. This one’s painted with a bit of an Impasto style, with some surrealist color choices blended in.